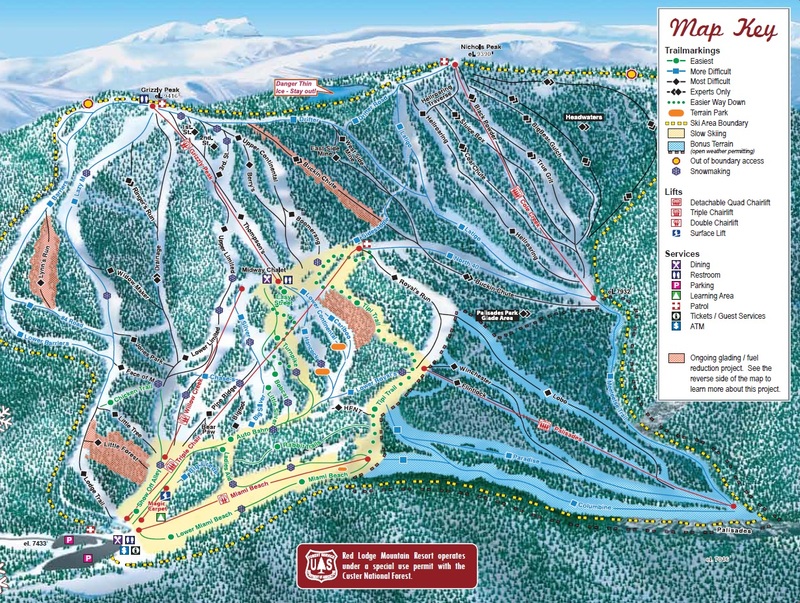 Red Lodge Mountain, located near the famous town of the same name and the northeast corner of Yellowstone, is Montana’s fourth largest ski area. You wouldn’t know it pulling up to the classic lodge and old school lifts out front. Opened in 1960 as Grizzly Peak, it now skis like two distinct resorts – the original mountain with 1970s-era double chairs and a huge expansion served by dual high speed quads that opened in 1996. Approaching its 60th anniversary, the mountain faces dueling challenges of prolonged drought and competition from the booming Big Sky region. Grizzly Peak opened with one lift, now called Willow Creek, in 1960. This classic Riblet double has since been shortened to start above the base area and only operates on peak days. 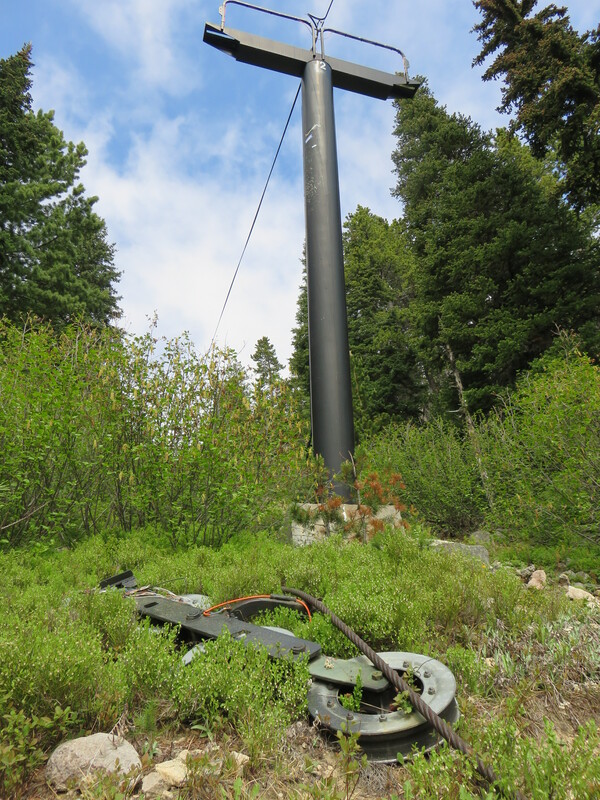 In 1970, the resort added two more Riblet doubles that also still operate – a beginner lift dubbed Miami Beach and another to the summit called Grizzly Peak. In 1977, Red Lodge added a rare Borvig double at a western ski area called Midway Express. It served no new terrain but allowed skiers to return to mid-mountain without having to ski all the way to the base area. With just five towers and a vertical rise of only 400 feet, this lift proved too expensive to operate and was abandoned in 2010. Most of the chairs were auctioned to raise cash and the sheaves, comm-line and haul rope were dropped to the ground and left. The terminals and towers still stand today. The Midway Express double six years after closing for good.